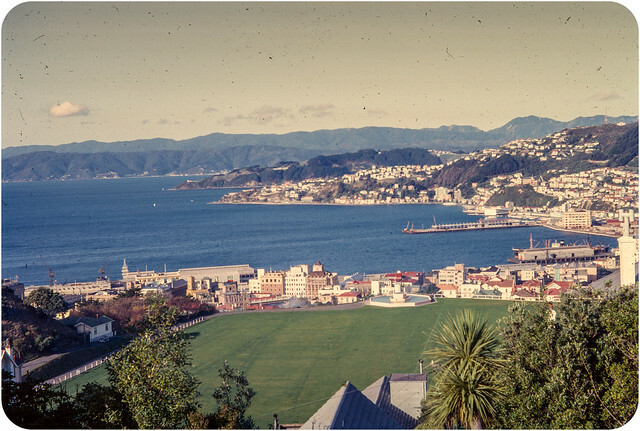 I wanted to share with you a nice little then/now piece from a photographic slide of Wellington, New Zealand taken back in 1964. 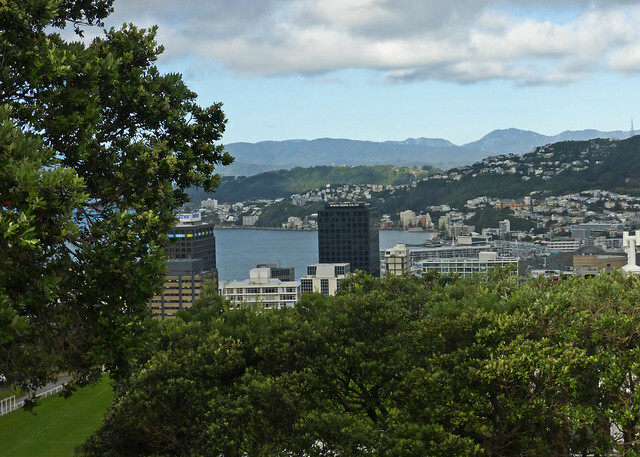 Regular Flickr location confirmation sleuth Fraser Pettigrew knew instantly where it was as he now lives there and took up my challenge of photographing how Wellington looks today from the same spot. So, here is the original photo slide taken back in ’64. And here is Fraser’s photograph taken in as near enough the same location as the original. As you can see, there are quite a few differences to the original; trees are taller, new buildings have been built and old ones taken down. Also, Fraser pointed out, one of the two radio towers (seen in the top right of the original image) has been removed in the 50 years since the original photograph was taken. Not only did Fraser re-photograph Wellington for the project, he also spent some time merging the two photographs together so you can magically see the scene change before your very eyes! I must thank Fraser for taking the time to re-photograph the location and for creating the now/then animation!